Testing out the iPhone 7 Plus low light sensor. WDYT? Thinking about doing a live Q&A & jam sesh on FB Live next week Thurs or Fri from our green room in NYC wdyt? What does WDYT stand for? WDYT stands for "What Do You Think?" How to abbreviate "What Do You Think?"? What is the meaning of WDYT abbreviation? 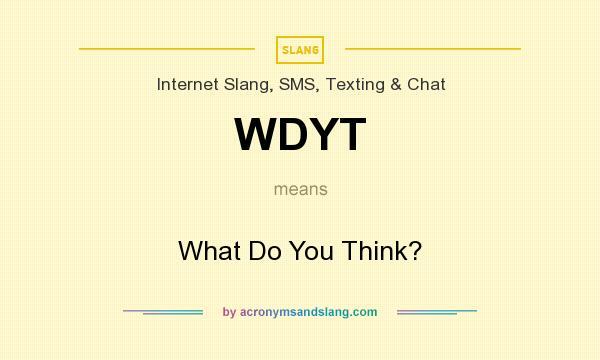 The meaning of WDYT abbreviation is "What Do You Think?" WDYT as abbreviation means "What Do You Think?"